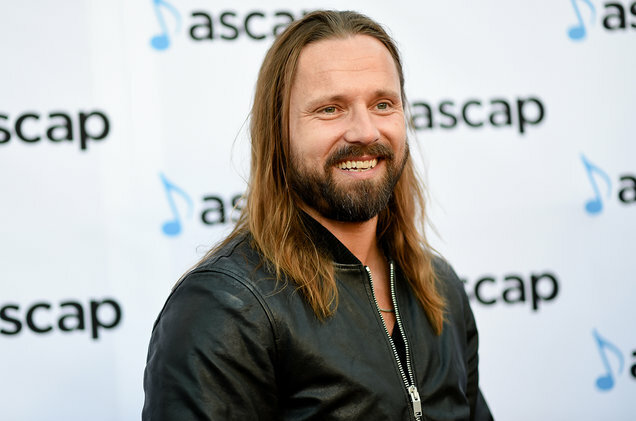 Honoree Max Martin arrives at the 2016 ASCAP Pop Awards at the Dolby Ballroom at Dolby Theatre on April 27, 2016 in Hollywood, Calif. Along with pop songwriter Niclas Molinder, the three founders aim to educate with a grassroots approach. The international debate over creators' rights will soon have a new player, run by songwriters who understand it from the inside. Swedish hitmaker Max Martin, ABBA member Björn Ulvaeus and pop songwriter Niclas Molinder are forming Music Rights Awareness, an organization that will work to educate musicians about their rights. Each will serve on the board of directors. Music Rights Awareness will work internationally, and its first project, Music Rights In Africa, will aim to educate songwriters in Rwanda, Malawi and Tanzania. “It’s so important to spread this knowledge about what rights creators have,” Ulvaeus tells Billboard. Although many organizations advocate for songwriters and publishers, Music Rights Awareness will focus more on education, with a grassroots approach. “It’s so important that this is creator to creator,” adds Molinder. The three Swedish songwriters already work together as investors in Auddly, a Stockholm start-up also run by Molinder that makes software to track song authorship and publishing rights. That company came out of Molinder’s experience running a music-publishing company with his songwriting partner, Joacim Persson, with whom he writes and produces songs for pop acts like Ashley Tisdale, The Cheetah Girls, and Willow Smith under the name TWIN. Music Rights Awareness chose Rwanda, Malawi and Tanzania for the Music Rights In Africa project since all three countries have public performance collection societies, local equivalents of ASCAP and BMI. In June, Molinder and Mutesi-Hakuziyaremye visited all three countries and met about 80 songwriters as well as some politicians, including officials from the culture ministries in Malawi and Rwanda. Music Rights In Africa will present other events in those countries later this year, and it’s talking to the Swedish government about expanding the program. Music Rights Awareness defines itself as an educational organization, not an advocacy group. But its focus on making creators aware of their rights implies that those rights are important. “I know from personal experience what copyright means,” Ulvaeus says. “It wasn’t until Benny [Andersson, Ulvaeus’ writing partner in ABBA] and I started making money that we had the time to get good at what we were doing. I can guarantee that a lot of the talent out there will get wasted because there was never the possibility to make something out of it." Levine, Robert. "Hitmaker Max Martin, ABBA's Björn Ulvaeus Form 'Music Rights Awareness' Organization." Billboard. Accessed September 14, 2016. http://www.billboard.com/articles/news/7503642/max-martin-abba-bjorn-ulvaeus-form-music-rights-awareness-organization.